Born: 21st May 1885, 18, Norfolk Road, Ipswich. Died: 26th August 1917; age 32; Died of Wounds. Residence: 7, Robinson Street, Ipswich. Employed: Ransomes & Rapier, Waterside Works, Ipswich. 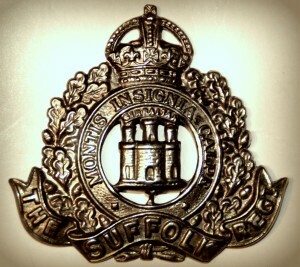 Regiment: Suffolk Regiment, 11th Battalion. Relatives Notified & Address: Husband of Nellie Elliss, of 7, Robinson Street, Ipswich. 1891 111, Hervey Street, Ipswich. Lancelot was 5 years old he was living with his parents & siblings at the home of his maternal grandparents, aunt, uncle & cousins. John Lambert, 53, a General Labourer, born Ipswich. Sarah Lambert, 51, born Ipswich. Kerry Lambert, 20, a Groom – Domestic, born Ipswich. Gertrude Lambert, 22, a Pawnbroker, born Ipswich. Cecil Lambert, 12, born Ipswich. Kenneth Lambert, 10, born Ipswich. Pontive Vialda Lambert, 4, born Ipswich. William Ellis, 31, a Cigar Maker, born Ipswich. Alberta Rosa Elliss (nee Lambert), 26, born Ipswich. Ivan Issley Elliss, 4, born Ipswich. Vealdo Hildred Elliss, 2, born Ipswich. 1901 71, Finchley Road, Ipswich. Lancelot was 15 years old, a Draper’s Porter. He was living with his parents & siblings. William, 41, a Cigar Maker. Pontine Rodamy Elliss, 5, born Ipswich. Henry Thomas Elliss, 2, born Ipswich. 1911 71, Finchley Road, Ipswich. Lancelot was 24 years old, a Seaman – Cook. He was living with his parents & siblings. William, 50, a Carter – Ipswich Borough Council. Ivan, 22, a Groom – Domestic. Pontine, 15, work at Printers. In 1914, Ipswich Lancelot married Nellie Daniels Abbott (nee Lankester), born 1880, Wherstead, Suffolk. Soldiers’ Effects To Nellie Elliss – widow. Lancelot is also remembered on the Ransomes & Rapier Ltd. war memorial, Bourne Park, Ipswich. On August 24th the 11th Battalion the Suffolk regiment moved to Priel Wood taking part in the attack on (26th) Malakhoff farm and the trench system in front of Hargicourt. 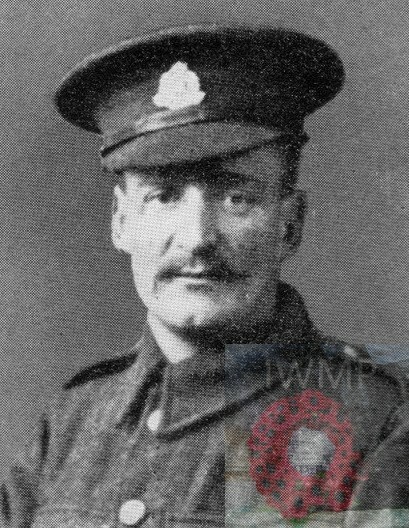 With hand to hand fighting the 11th Battalion casualties amounted from July to September came to 230 with clp Sidney James Day receiving a Victoria Cross for his bravery, taking a German machine gun post and without hesitation throwing a German stick grenade out of the way of his wounded men. clp.Day after clearing the trench established himself in an advanced position, remaining there for sixty six hours at his post, which came under intense hostile shell grenade and rifle fire. 1 Pings/Trackbacks for "LANCELOT IVAN ELLISS"